Great teachers find great pleasure teaching American classics. Don’t know where to begin? 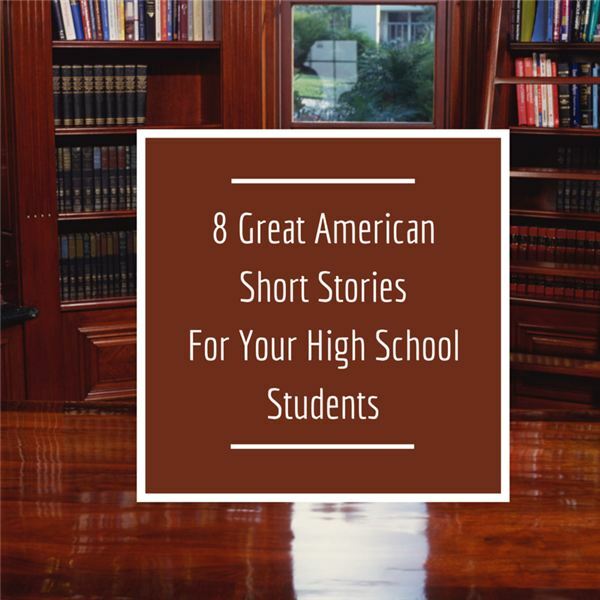 Try these famous short stories. 1. “To Build a Fire” by Jack London: A foolish man foolishly starts his journey in foolishly cold weather, foolishly gets wet, and struggles to build a fire or die. London’s “To Build a Fire” embodies naturalism in literature. For classes that emphasize literature, identifying naturalistic elements is appropriate. “To Build a Fire” is the perfect example of a person v. nature conflict. “An Occurrence at Owl Creek Bridge” uses flashbacks and dream sequences, an excellent opportunity for teaching plot and sequence. Find the Twilight Zone episode of the short story. It’s fantastic and follows the narrative exactly. 3. “The Minister’s Black Veil” by Nathaniel Hawthorne: An eccentric preacher attempts to teach his congregation by wearing a mysterious black veil over his face. Lesson Idea: Think symbolism. Discuss what the minister’s black veil represents. Follow it up with a literary analysis paragraph. 4. “The Gift of the Magi” by O. Henry: Buying someone the perfect gift sometimes turns out more than perfect. I love irony. I love this short story. Use this irony lesson plan to teach it. Worried about the political-correctness police harassing you around the holidays? O. Henry’s got your back. “The Gift of the Magi” makes a great short story right before Christmas… holiday…winter break. 5. “The Revolt of Mother” by Mary E. Wilkins Freeman: Mom’s not happy with Dad’s new barn, so she does something about it. Freeman’s short story involves discussions of marriage, the role of women, and being responsible. 6. “The Open Boat” by Stephen Crane: Four men in a life boat struggle to reach land. Who will survive? Crane’s “The Open Boat” is an excellent example of naturalism. Make a chart of the four characters, their attributes, and the likelihood of survival. Make predictions. 7. “Masque of the Red Death” by Edgar Allen Poe: A really weird prince thinks he can keep out death. Discuss the Bubonic Plague and other plagues in history. Poe’s “Masque of the Red Death” contains numerous symbols. Here’s a good teaching symbolism lesson plan. 8. “The Lady or the Tiger?” by Frank Stockton: Imagine a woman in love. Would she rather see her man with another woman or see him mauled by a tiger? Lesson Idea: Teach suspense with “The Lady or the Tiger?” This story offers plentiful writing opportunities. Good short stories will involve the class and meet educational objectives.